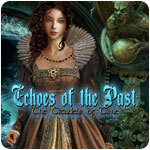 Echoes of the Past: The Citadels of Time Game - Download and Play Free Version! Well, here we go again! The wicked witch has found a way out of her confinement to muster up more mischief in the museum! 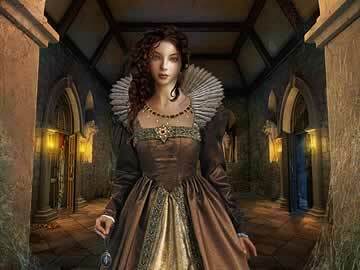 This time, she's frozen certain areas in time and rewound the clocks back so old spirits come out of the woodwork to cause trouble in the former castle. That's no good! Echoes of the Past: The Citadels of Time is a steampunk gothic point-and-click adventure with hidden object mini-quests that will delight gamers of many stripes, from small-time flash enthusiasts to gamers who grew up on vast, moody, atmospheric classics like Myst and Riven. 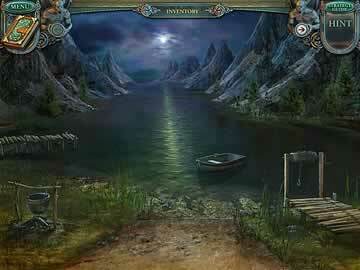 Evade ghosts, find the witch and restore the castle to its present-day state. Although the storyline is similar to earlier games in the Echoes of the Past franchise, it continues to work. When combined with the gameplay and graphics, the narrative presented by Citadels of Time makes for a compelling game overall. Spend a weekend solving puzzles and wandering through lovely visual interiors. Tiny details and quirky animations give Citadels of Time a fun feel, and all the backgrounds are highly interactive. You will have to make sure to click everything if you want the full experience! You feel as though you are actually in a breathing, living world when finding hidden objects rather than just clicking on a static page. For instance, if you need to collect items to find a clock in a particular area, you won't actually see the clock until you've found all the other items. Little details like this serve to give Citadels of Time that much more immersive interest. With spooky ambient music, gorgeous and gameplay that will provide hours of unique entertainment, Citadels of Time is certainly one for the ages!